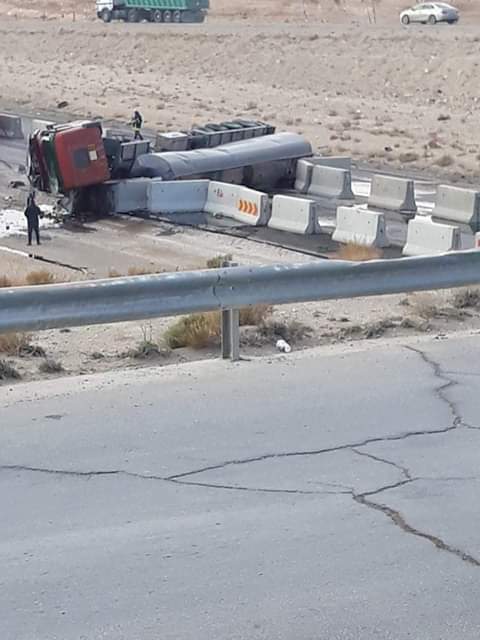 An oil tanker truck tipped over on its side in an accident on the Desert Highway, Friday afternoon, January 18, 2019, according to a source in the Civil Defence. 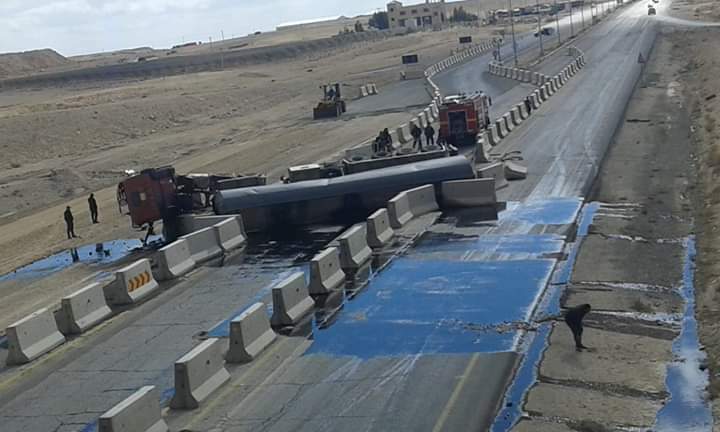 The source told Roya that the accident resulted in one injury, which was transferred to Prince Zeid Hospital in Tafila, adding that the condition of the injured was moderate. 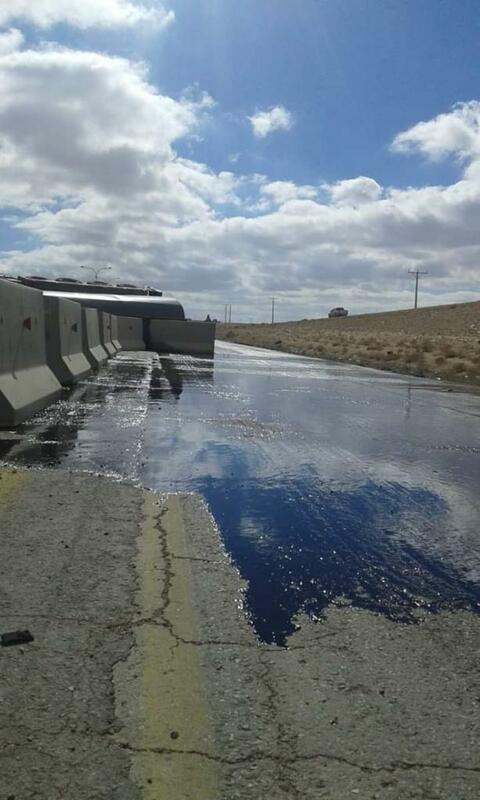 He explained that the incident occurred near the town of Hasa, where it was dealt with by the concerned agencies and removed from the road.